Tallahassee's first family has set up a foundation to help the Capital City's junior Shakespeare company. The idea is to make the program available to a wider spectrum of young people. Bardlings on stage during last year's performance of "Eighth Night," their version of Shakespeare's "Twelfth Night." Southern Shakespeare Company Executive Director Laura Johnson explained the troupe is called "The Bardlings." 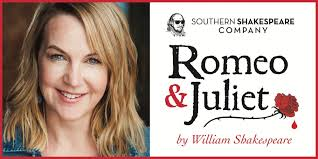 "It's actually the junior company of Southern Shakespeare, the junior acting company. And it's co-directed by Robin Jackson and Bianca Montague. 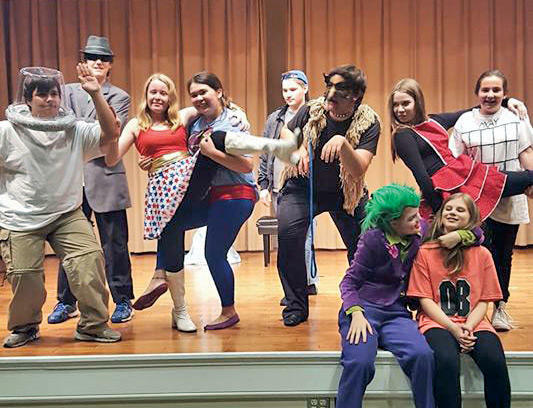 And it provides dramatic training and performance opportunities for local middle and high school theatre artists." Those young actors, said Johnson, are fully integrated into the overall program. "They become part of the company and so we do a fall showcase production and they'll have performance opportunities at that point and then in the spring they're actually part of the main stage production at Cascades Park during our free Shakespeare in the Park event." However, there is a cost associated with joining the company. Now, says Johnson, at least a portion of that expense will be covered for less affluent participants by the newly created foundation. "Mayor Gillum and First Lady Gillum were generous enough to establish the 'Bardlings' Fund' and what that will allow students in the area who wouldn't otherwise be able to participate in this program - because it is a fee-based program - it provides them an opportunity to be part of the Bardlings company,"Johnson said, adding this resource comes just in time for new Bardlings to join the twenty-member company. "We do have auditions! It's August 25th and 26th from 2 p.m. until 5 p.m. at the Oasis Center and we invite students in middle and high school to come out." The Southern Shakespeare Festival returns to Tallahassee’s Cascades Park May 10-13. As has become a festival tradition, the “main event” will feature a unique twist on a Shakespeare classic.